As we head towards the end of summer, when kids go back to school and many happy vacationers reluctantly return to their workplaces, it’s common to think about the potential for new devices to help with renewed educational and vocational efforts. Back-to-school is a particularly important time for notebook PCs, as many vendors introduce new models to meet the seasonal boost in demand that hits this time each year. The great news this year is that it’s hard to go wrong with the options being made available. Thanks to some critical new technology announcements, advancements in some key standards, and most importantly, improvements in the physical designs of modern notebooks, there is a wealth of great options from which to choose. In fact, after years of hype and, frankly, some unfortunate cases of overpromising and underdelivering, we’re finally starting to get the super sleek and ultrathin, yet very powerful and flexible laptops we were promised a long time ago. To put it bluntly, the Windows PC industry has finally caught up to and arguably surpassed what Apple first started with the Macbook Air about 9 years ago. Pick up the latest offerings from Dell, HP, Lenovo, Acer or any other major Windows PC vendor, compare it to the notebook you currently own or use for work, and the difference will likely be dramatic. Today’s laptops are lighter, offer longer battery life, and nearly 1/3 feature flexible designs. Some have bendable hinges that enable switching from a traditional clamshell format with the keyboard down below the screen to a tablet-style mode, with a touchscreen interface. Others feature detachable keyboards, most notably Microsoft’s growing range of Surface devices. To put it bluntly, the Windows PC industry has finally caught up to and arguably surpassed what Apple first started with the Macbook Air about 9 years ago. Beyond the more obvious physical design enhancements, these new laptops also startup, boot applications, and run much faster than their predecessors. This performance boost is primarily due to some important “under-the-hood” improvements in the chips powering today’s notebooks. Last week, for example, Intel just announced the eighth generation of their Core line of CPUs, the Core i3, i5 and i7, which offer up to a 40% boost in performance versus even last year’s models on some applications (though not on everything). A good portion of this boost is due to Intel increasing the number of independent computing cores inside the CPU. Because people do more multitasking and keep multiple applications open and running on their computers these days, as well as the nature of how modern software is being written, these extra cores can make an important difference in real-world performance. In fact, Intel’s main competitor in the CPU market, AMD, used this design concept in both their Ryzen and Threadripper desktop CPUs—introduced earlier this year—with great effect. Thanks to these changes, AMD is finally starting to compete and, in some instances, beat Intel in desktop CPUs. AMD will be bringing these advancements to the mobile market in 2018. Best of all, though, it’s brought a greatly renewed sense of competition back to the market, and that will make both companies’ chips faster and the notebooks using these new designs even better, which is good news for all of us. The semiconductor improvements in PCs aren’t just limited to CPUs. Nvidia and AMD continue to drive the mobile PC gaming market forward with the dedicated GPUs. Nvidia just unveiled a new thin design they call MaxQ that allows even their high-end GeForce GTX1080 chip to fit inside a comparatively thin 18mm notebook, a huge improvement over many of the current gaming notebooks. As with CPUs, AMD also just made a strong new entry on the desktop side with their new Vega architecture chips, formally introduced earlier this month, and they will bring Vega to notebooks in 2018. But you may not even have to wait until then, because the final key new advancement in today’s notebooks is a relatively new connection standard called Thunderbolt 3.0. Found primarily on more expensive notebooks right now, Thunderbolt 3.0 uses the USB Type C physical connector, but supercharges it with the ability not only to connect up to two 4K displays, but also power connections for the notebook, storage devices that can work as fast as internal hard drives and, most interesting of all, the potential to connect desktop graphics cards to a thin notebook. 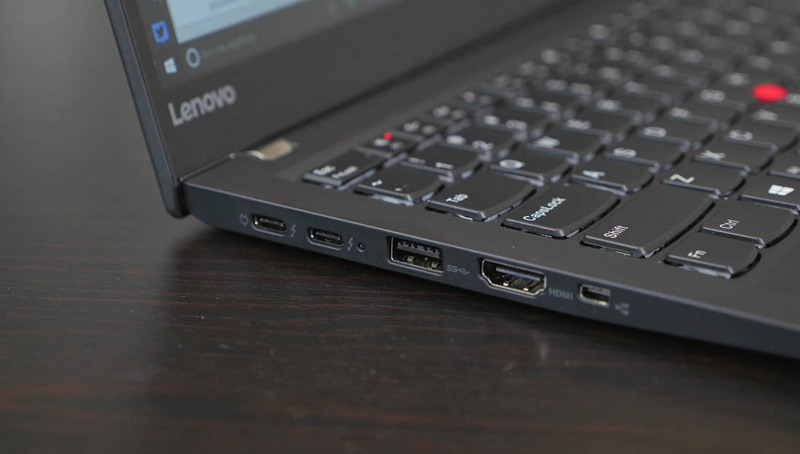 Now, you will need a relatively large, separately powered adapter housing for the card, but the ability to connect and even potentially upgrade desktop-quality graphics to a notebook PC is a capability that’s never been widely available before. Put all these elements together and it’s clear that we really are in a golden era for laptop PCs. Small, lightweight designs, fast performance, tremendous expandability, and improved flexibility are enabling some of the most compelling new notebook designs we’ve ever seen. Throw in the fact that many new notebooks will be more than capable of driving the new mixed reality VR headsets that Microsoft and its PC partners just announced this week and the outlook appears even brighter. Plus, this vigorous new competitive environment is providing a desperately needed revived spirit for the PC industry overall, and promises even more improvements for the future.